Have you guys heard about the movie yet? Yes? No? I saw the trailer in the cinema and I immediately fall in love with this movie! It's super cute! I just have to watch it! 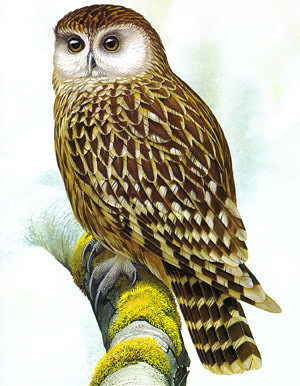 Since the whole show is about owl,let me tell you what is my favourite owl species..
Do you know what species is this? 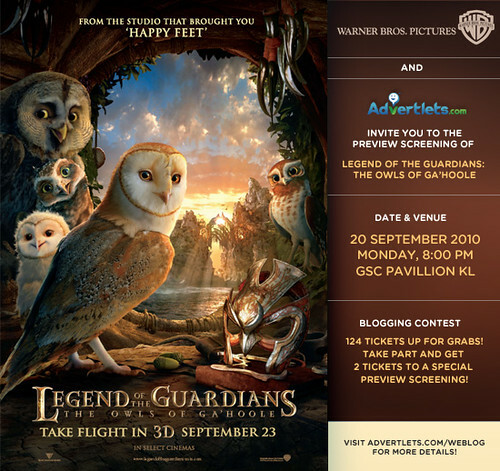 The call of the Laughing Owl has been described as "a loud cry made up of a series of dismal shrieks frequently repeated". The species was given its name because of this sound. I like it because it's very cute and rare! The sound it make can scare people away! 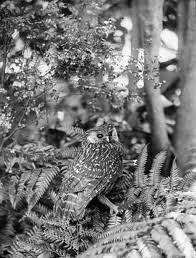 Other descriptions of the call were: "A peculiar barking noise ... just like the barking of a young dog"; "Precisely the same as two men "cooeying" to each other from a distance"; "A melancholy hooting note", or a high-pitched chattering, only heard when the birds were on the wing and generally on dark and drizzly nights or immediately preceding rain. Various whistling, chuckling and mewing notes were observed from a captive bird. 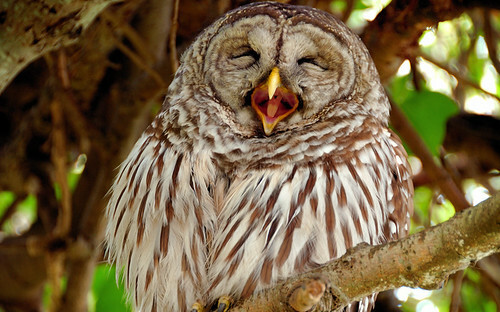 This owl can actually sing! 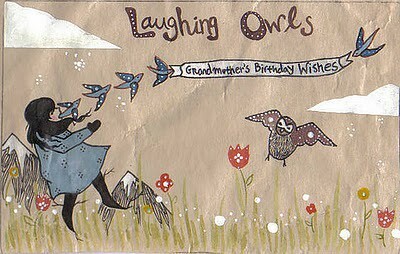 :D I love singing..and now owl can sing along with me! lol..
By 1880, the species was becoming rare, and the last recorded specimen was found dead at Bluecliffs Station in Canterbury, New Zealand on July 5, 1914. 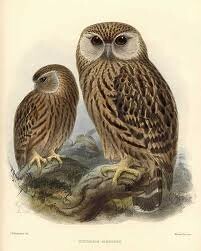 Though there are news about the Laughing Owl.Around the year 2000, an Ornithologist from New Zealand happened to tell the story of the mysterious laughing man, in which the Ornithologist grew very excited; He had given a textbook description of the Laughing Owl. 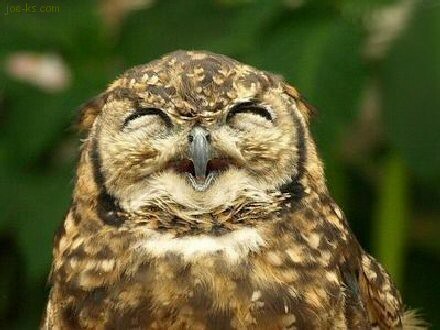 This had been the first evidence in many years that the Laughing Owl might not be extinct after all.